From Innes, turn left onto Bantree. Take first right on Newmarket. 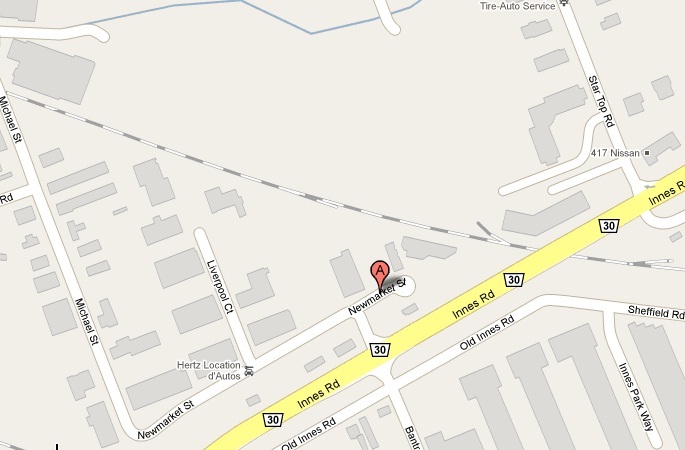 The office is at the end of the street, and the address is 1237 Newmarket Street.